It is late Wednesday night, so obviously it’s that special time when the weekend seems so far away. Drama! 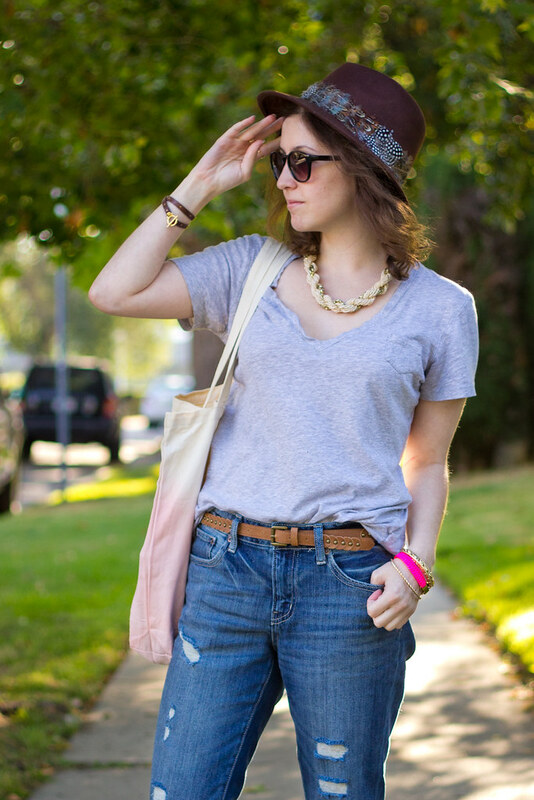 However, in honor of the mid-week doldrums, here’s a decidedly casual, bumming-around-the-weekend look. 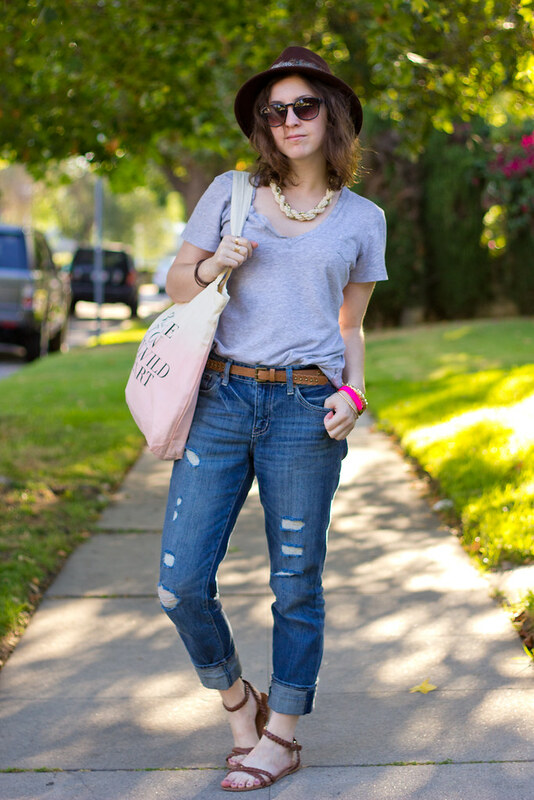 The fact that I shied away from boyfriend jeans for so long is a damn shame, I tell you! Their comfort and accommodation toward food-related expansion is unparalleled. Also, it’s worth stating again: I’m a huge fan of hats. I know they aren’t everyone’s favorite (literally none of my friends will wear them), but they may just be the unsung heroes of casual dressing. They’re such an easy way to add another dimension to your look. And they are totally pro-choice in the hair brushing debate! I would vote for any candidate who was like, Hey, brush your hair, don’t brush your hair… it’s your body girl (apparently my hat is essentially a liberal Ryan Gosling meme). Anyway, what I’m really saying is that you need to give hats a chance, and this one happens to be a really good hat. I’m Melina and I approve this message. Paid for by the Everyone Should Wear Hats & Not Brush Their Hair Association. I wish I looked good in hats because I want one like that SO BAD. Alas, I hate how I look in them. I know just how you feel - hats are awesome and totally make the look! I love this outfit... 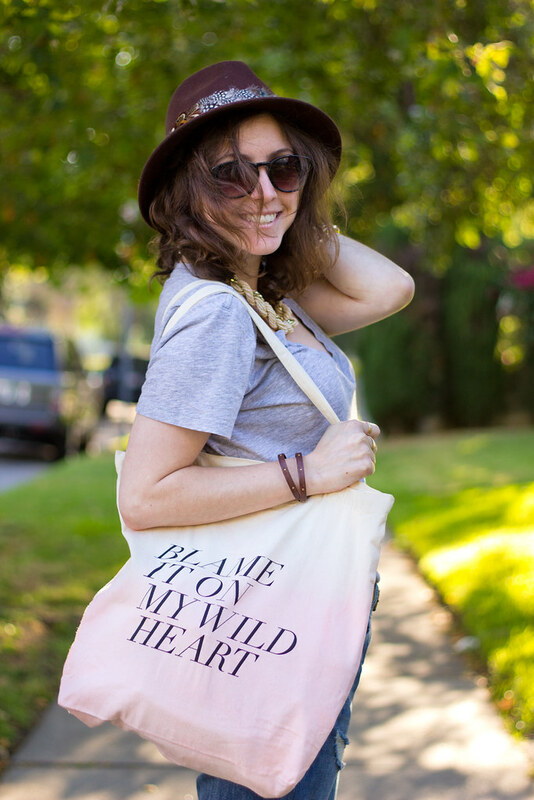 The bag has been on my radar quite some time and the hat looks amazing on you!